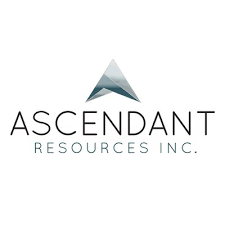 Ascendant Resources Inc. (TSX: ASND) (OTCQX: ASDRF) is pleased to announce that it has received a non-binding term sheet from Overseas Private Investment Corporation, for a project loan of US$35 million to American Pacific Honduras S.A. de C.V., the Company’s operating subsidiary in Honduras, to finance the expansion of the El Mochito mine in Honduras as detailed in the Company’s Technical Report “Preliminary Economic Assessment for the Expansion” of the El Mochito Mine, dated December 6, 2018. “We are very pleased to have received a non-binding term sheet from OPIC for the financing of the expansion program at El Mochito. OPIC has a history of financing large and important international infrastructure projects that make a significant contribution to the local communities in which they provide funding. We look forward to the opportunity to work together to expand the operations at El Mochito for the benefit of our employees, the local community, our stakeholders and our shareholders“, stated Chris Buncic, President and CEO. The Overseas Private Investment Corporation is a self-sustaining U.S. Government agency that helps American businesses invest in emerging markets. Established in 1971, OPIC provides businesses with the tools to manage the risks associated with foreign direct investment, fosters economic development in emerging market countries, and advances U.S. foreign policy and national security priorities. OPIC helps American businesses gain footholds in new markets, catalyzes new revenues and contributes to jobs and growth opportunities both at home and abroad. OPIC fulfills its mission by providing businesses with financing, political risk insurance, advocacy and by partnering with private equity fund managers. Ascendant Resources is engaged in the ongoing evaluation of producing and development stage mineral resource opportunities, on an ongoing basis.